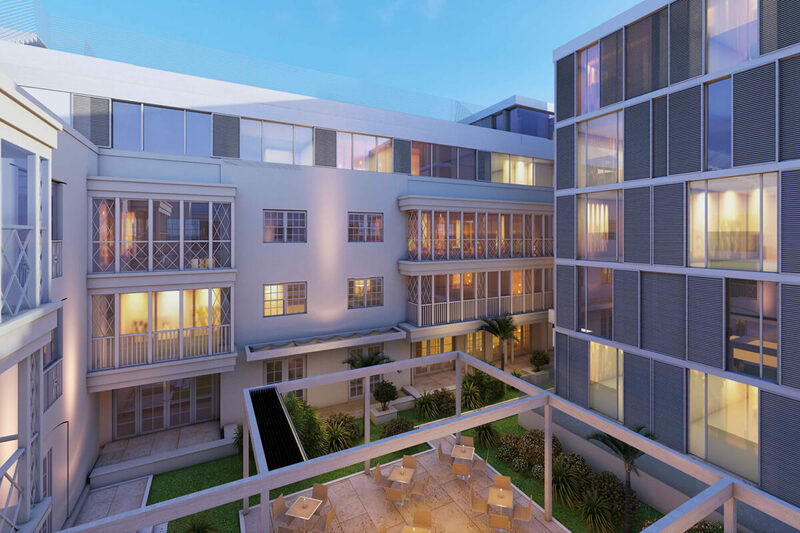 SADIGO HOTEL 3-story Boutique Hotel built in 1936, reviving the Mediterranean Influences in Miami Beach’s Architectural District and steps away from Miami Beach’s best attractions. Amenities: Originally built in 1936 and being fully renovated in 2018 resembling the Mediterranean influences with a distinguishing symmetrical façade and archways, all surrounding an internal tropical patio. Renovation: With architecture by Kobi Karp, the hotel is currently undergoing renovations. Scheduled to be completed by 2019. Size: 30,000 square feet with 80 rooms fully renovated in 2018. Visit us: 334 20th Street, Miami Beach, FL 33139.